In the Czech Republic, the Alliance of Parents for Inclusion (Aliance Rodiče za inkluzi) has been striving for more than a year to bolster the role played by parents in the process of including children with disabilities into mainstream schools so they can be accepted by schools as their partners. These parents are requiring that the state do all it can to fulfill their children’s lawful right to a quality education and are drawing attention to the current systemic deficiencies preventing the development of inclusive education. According to a survey conducted last year by the Czech Professional Society for Inclusive Education, more than half of all Czechs are convinced that the integration of children living with disabilities or social disadvantage into the mainstream schools is correct and that inclusive education can be beneficial for non-disabled children as well. The conviction that a common education is beneficial to both kinds of children is also shared by the parents of the children living with disabilities who are associated with the Alliance of Parents for Inclusion. Their personal stories demonstrate that those children living with disabilities who grow up in contact with their non-disabled peers naturally learn to function in the majority society. Non-disabled children who are used to attending school with pupils who have various kinds of disabilities starting from preschool age take such coexistence together as a matter of course, and once children educated this way become adults, they are not afflicted by useless prejudices and have no concerns, for example, about employing people living with disabilities. “I belong to the generation of the so-called Husák children [Translator’s Note: Gustáv Husák (1913-1991), Czechslovak President and long-term Secretary-General of the Communist Party of Czechoslovakia] and during my youth, children living with disabilities grew up in institutions or spent their entire lives isolated in their families,” says Hanka Kubíková, the mother of an eight-year-old who suffers from so-called Williams Syndrome. Despite this rare genetic disorder, which causes mental disability, her son is already attending a mainstream primary school for a second year, and recently brought home a report card that was all top grades. It is precisely the unsystematic nature of support from the state, which varies from region to region in terms of financing available for children living with disabilities and the system for assigning assistant teachers to schools, that is one of the barriers to the development of high-quality inclusive education. 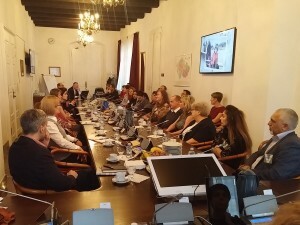 Members of the Alliance of Parents for Inclusion hope the new conditions that will apply as of 1 September will manage to ameliorate or even eliminate these problems. The Alliance is organizing seminars for the parents of future first-graders and advising them where they can find the information they need. They are also offering support to pedagogical staffs and school principals. 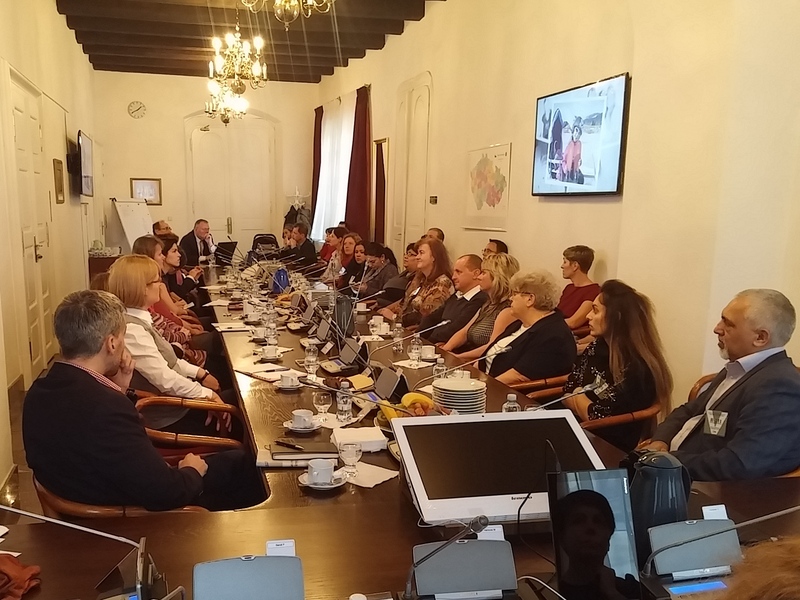 “Experience from abroad demonstrates that the engine of change when it comes to introducing inclusive education in other countries has always been parents,” says Karin Marques of the Open Society Fund, which, together with the Czech Professional Society for Inclusive Education, was involved in the birth of the Alliance one year ago. Representatives of the Alliance symbolically prepared a meeting between MPs and parents on the last school day of the first semester of this school year, when many schools issue report cards, to familiarize them with the specific problems that parents of children with special educational needs encounter. That event took place under the auspices of Czech MP Martina Berdychová. She herself has experience as an educator in a small classroom that successfully managed to integrate a child living with disabilities.